Looks, sounds and feels just like the big toilet. Complete with flusher and flushing sounds! 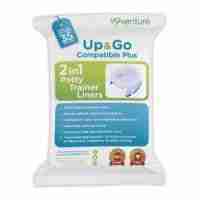 Inner tray can be easily removed, emptied and cleaned within minutes. Complete with built in wipe compartment. My granddaughter didn’t like the ordinary potties but as soon as she saw this she used it. Her parents are buying one for there house now. My first potty is a great purchase, my little one loves it. I absolutely love this potty, I didn’t even have to show my daughter how to use it. We unwrapped it together and she used it without prompt. Amazing. The Pote Plus My First WC is an adult toilet miniaturised into a potty! 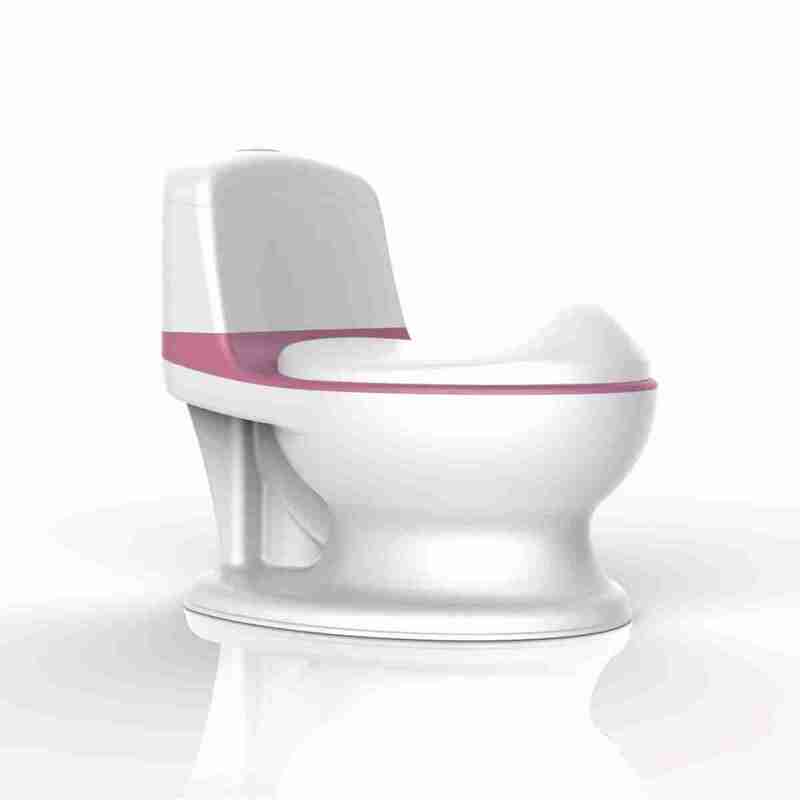 Designed to help your little ones feel more comfortable and eager to use their potty. It looks, feels and sounds just like a real toilet, making the transition from potty to the big toilet that little bit more achievable for your child. 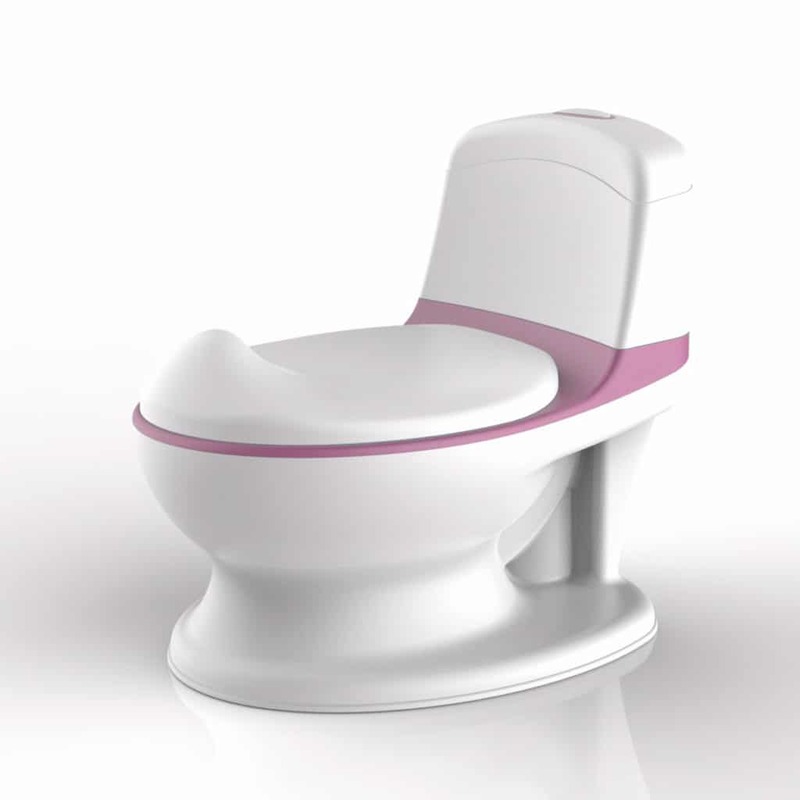 Designed to make potty training fun the Pote Plus is shaped like a real adult toilet, it comes complete with an interactive flusher that once pressed lights up and creates flushing sounds, rewarding your little one after each time they use the potty. 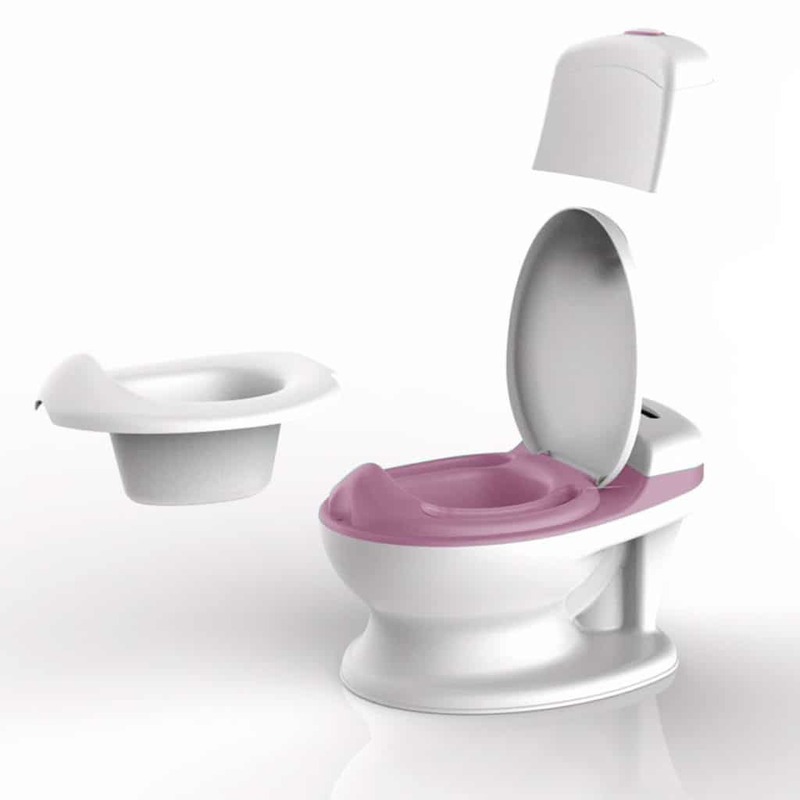 This realistic design helps guide and encourge your child to flush the toilet after each visit. With an integrated removable wipe compartment and inner tray the Pote Plus My First WC helps teach your child the key hygeine rules vital to using the toilet. Each time they use the potty they will get used to good toilet practices like lifting and closing the seat, flushing after use and wiping when they’re done.